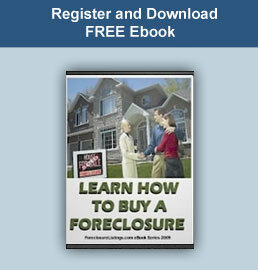 Register and get full details on over 2 million foreclosures for sale! Not a member yet? Subscribe to ForeclosureRepos.com! All personal information will not be used for any purposes other than to provide support services. Why do I have to pay $3.90 for a 7 day trial membership? (**) After you begin your membership, you can always cancel it easily. There is a cancellation button located on our Contact page - No need to call. If you want to continue after your 7-Day Trial, do nothing. Your membership will automatically continue. If you do not cancel, the cost thereafter is only $39.90 monthly, until you cancel your membership. All your personal information will be processed by CCBILL.com, one of the safest enviroments for online payment transactions.